The M1911 Holsters are made to ride on 1-1/2" pant belt unless you need it to fit a wider belt. 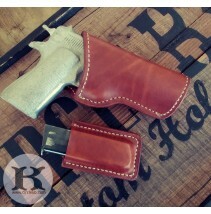 Just let us know the bel..
Do you need a western style leather holster to go with a gun belt you already have? Same high quality of all of our hols..